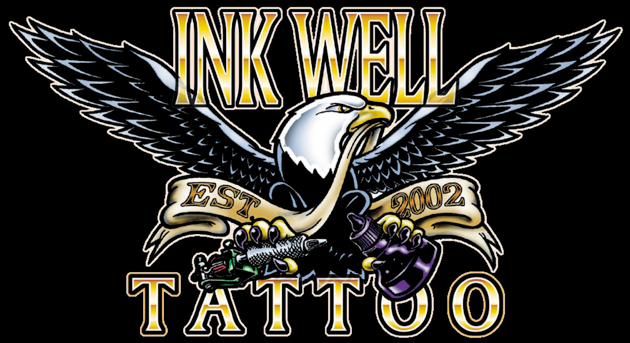 Our goal at Ink Well Tattoo is to change what people expect from a tattoo shop. 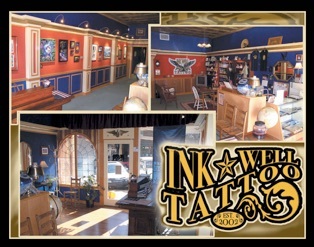 We focus on showing clients a more professional, artistic side of tattooing. There are a lot of people out there doing tattoos that are not necessarily qualified to tattoo. It is crucial for potential clients to thoroughly check out the artist and/or studio. Our procedures are on the leading edge of cleanliness and quality. We don't sterilize our equipment because it comes to us pre-sterilized and everything is disposable (except machines). That means new, sterile EVERYTHING for each client. Scot Winskye (owner) has been tattooing since 1997 beginning at General Lee’s Tattoo Studio which partnered with Big Daddy's Tattoo in Radcliff, KY. After 5 years in Hardin County, Scot and his wife, Taren, opened Ink Well Tattoo in 2002 in an effort to grow and try to create a positive environment for the tattoo artists as well as the clients. Tuesday - Saturday - Noon until 8:00 p.m.